Peace and Great Day Everyone. Thank you for continuing to follow our Blog our Social Media Post and being a part of our Newsletter. In this post we would like to help you all #Succeed with some helpful software and New Tech. Whether you're in business or just want to improve your finances, this post is for you. 1. The 1st Product we would like to Share is #Digit! It's a program that allows you to save automatically and for Free! You just sign up, link your bank account and Digit does the rest. It saves money for you automatically based on how much money you have in the bank and your spending patterns. You can withdraw at anytime via text message and it only takes 1 business day. We all know making money is great but, saving is much better! 2. Next on the List is #Acorns. 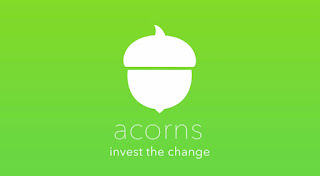 Acorns is a mobile app that connects to your bank account. It alsro studies your spending and saving habits. The difference is that it rounds up the amount of your purchases based on what you specify and invest it. It gives you a projection of the future as to how much you will make and profit. So not only are you saving but, you are investor on the stock market. Build Your Portfolio and #Succeed! 3. Next is #CoinBase a wallet for BitCoins. Currency as we know it is changing and fast. Greece is Bankrupt, China's Stock Market has Collapsed, and Italy is on the way. It's only a matter of time before the world's financial woes hit home. With the dollar on it's way out. Digital Currency will be the currency of the Future. Might as well begin now!